Bring your bathing suit and flip flops to this move in ready, 4-bedroom 3 full bath home just three blocks to the beach. 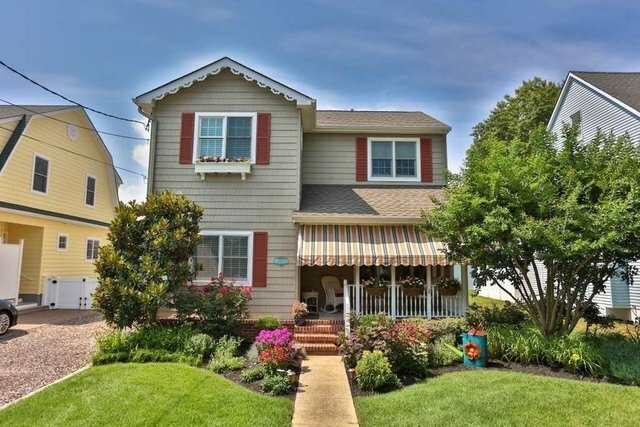 Located on tree lined, Maryland Avenue, one of Cape MayÃ¢â‚¬â„¢s most desirable locations. This home has so much to offer as either a family beach home or vacation rental equipped with everything you need to begin enjoying this summer. With an open first floor plan, fireplace, wood floors, newly renovated kitchen and appliances with quartz counter tops and 2 separate entertaining areas as well as two master suites (one on each floor). Plenty of storage with walk-in pantry, large pull down attic and a separate spacious laundry room with built in cabinets to hold all of your beach gear. Amenities include: A spacious detached 1.5 car garage/storage area, outdoor shower, stone laid driveway with off street parking for four cars, fenced in yard, paver patio outside dining area and an awning covered front porch, all accented by beautiful, established, and landscaping with sprinkler system and window boxes. Swing on the front porch and wave to your neighbors while your family or guests comfortably enjoy all of the wonderfully appointed interior spaces. Being sold furnished less their personal items and with several 2019 summer leases this home is a MUST see for all buyers looking in Cape May.